Get your Chinese New Year 2011 (Rabbit Year) Greeting Text Here for free. 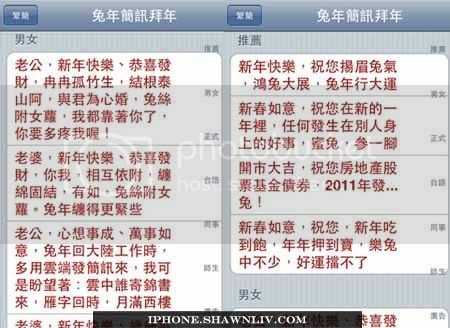 However, Chinese language only available in this app. Enjoy this Chinese New Year Greeting , free little app!